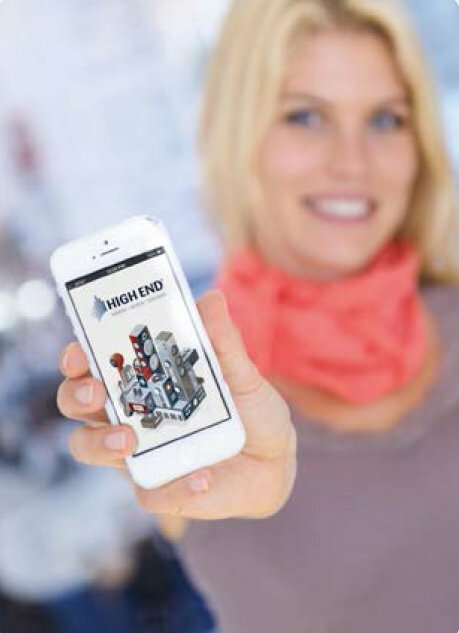 The HIGH END SOCIETY has designed the official smartphone app for the HIGH END 2015 specifically to cater for the interests and requirements of visitors and exhibitors. The new app for 2015 focusses on the visitors’ schedule for the fair. The HIGH END app means that our guests have at their fingertips all the information they need to plan their own schedule so that they are ideally prepared for their visit. By downloading all the im- portant data just once, the app can be used anywhere, regardless whether or not there is a mobile internet signal. The app can be downloaded free of charge from the Google Store and the Apple App Store.